Phone: 65 6377-7777 Open 7 Days a week! For every 4 tyres purchase with Tyre Queen, customers can enjoy FREE 1 time tyre rotation, FREE nitrogen and FREE Lifetime Patching of Tyres (eg. tyre punctures). Last week, I was really excited to give my Mercedes SLK Sports Convertible a brand new and complete make over. Tyre Queen was so nice to sponsor me a new set of Rims and Tyres. The whole process was really fun and interesting. I have never really hang out in a car workshop before as my dad usually does most of my car maintenance for me. Tyre Queen staff showed me around their Kaki Bukit workshop. They had a wonderful showcase of rims available and wide range of tyres for customers to choose from the display. I was spoilt for choice and thanks to the great recommendations from their knowledgeable staff, I knew what was the best option for my car. My current rims and tyes are 18inches. 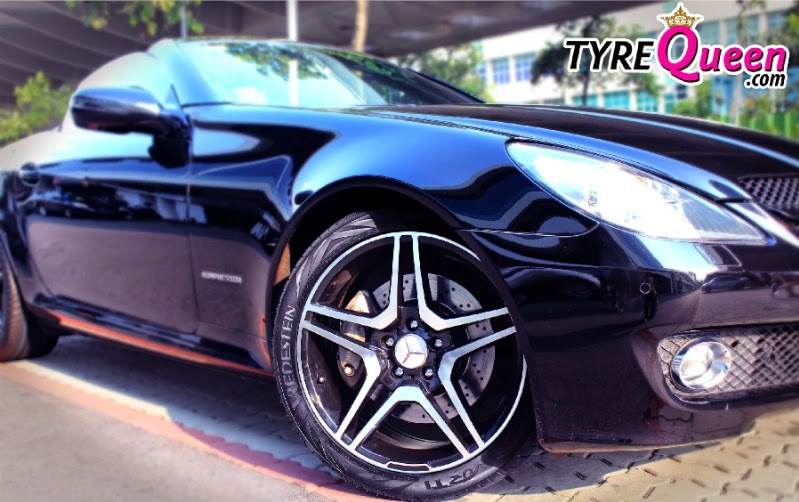 Tyre Queen decided to install a set of black rims on my black SLK so that it looks fiercer - Fast and Furious style! They also changed my tyres to their Continental high end tyres from Holland called Vredestein. My car looks brand new after the makeover! TYRE QUEEN Online shopping portal - gives customers the convenience to save their time spent at the workshop. All you simply have to do is to Log on to Tyre Queen website, choose your preferred tyres, compare, purchase and choose your preferred workshop location and head down on the selected day and time. Save time, enjoy greater convenience by pre-selecting your items online before going down to the Workshop! Tyre Queen offer instalment payments up to 36 months for any tyre purchases above $500. Tyre Queen offers more than 20 brands of tyres for selection and has an extensive selection of rims. Tyre brands include Michelin, Pirelli, Continental, Goodyear, Dunlop, Apollo and Vredestein etc. For every 4 tyres purchase with Tyrequeen, we are giving away FREE 4 time tyre rotation and FREE nitrogen for life. TyreQueen also offers services like Free Balancing, Puncture Repair, Tyre rotation, Car Servicing, wheel alignment service etc. 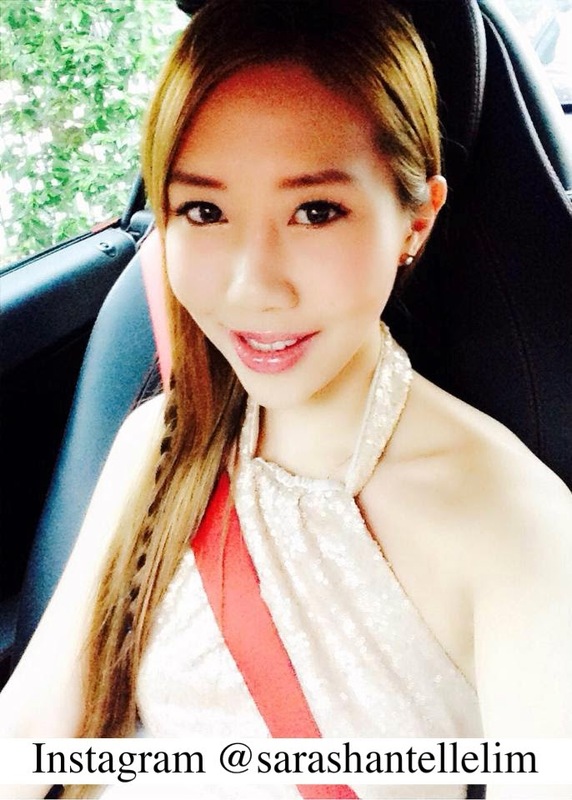 Tyre Queen is constantly sourcing for the most price competitive deals for their customers. 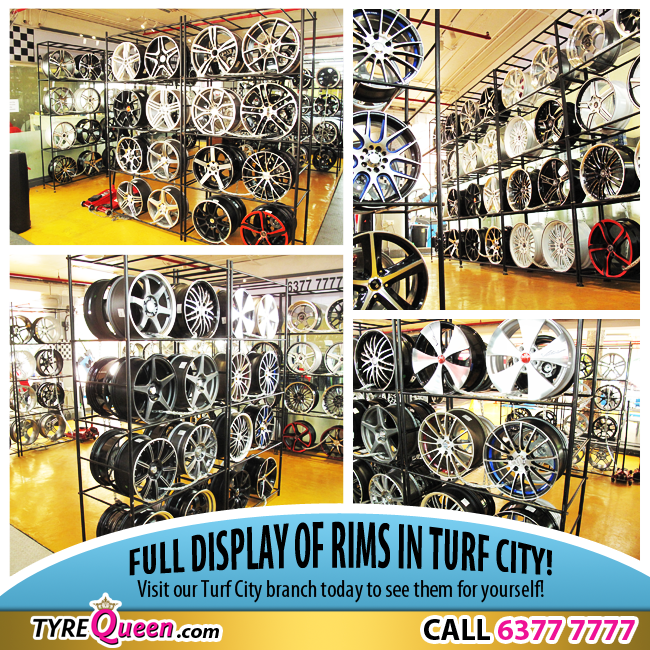 They make sure that their customers get the most value-for-money deals whenever they patronize Tyre Queen. Tyre Queen’s free gifts include health supplements from GNC, OSIM health products, Bluetooth headset, engine oil and many other relevant car necessities. We take great pride in choosing the best products for our customers. Tyre Queen has a showcase of their rims at their office upstairs their workshop. We had some coffee as they explained to me about their company and their sole distributionship of Apollo and Vredestein Tyres in Singapore. I managed to choose a set of black metalic rims for my car with the help of recommendations from their knowledgeable staff. With a heritage older than 100 years, brand Vredestein's unique story is best captured through its tagline "Designed To Protect You", which is also its brand promise. A winning combination of Dutch dedication and Italian elegance, Vredestein is best known for its premium high performance passenger vehicle tyres, especially in the winter tyre segment. Moreover, it offers a wide array of equally exclusive and performance driven tyres for the agriculture, industrial and bicycle categories. Manufactured out of a state-of-the-art facility in Enschede, in The Netherlands, its products are sold largely in the aftermarket. Vredestein tyres can be found adorning a whole range of luxury vehicles across the European Union, the United States, the Middle East and China. Vredestein has been collaborating with the world-famous Italian design consultancy, Giugiaro Design since 1997. Giugetto and his son, and the successor, Fabrizio Giugiaro has made a huge impact on both Vredestein as a brand and also the products. Both Vredestein and Giugiaro are reaping the advantage of this unique brand alliance. Vredestein as a brand is thankful partially is due to the affiliation with Giugiaro. It became a European premium niche brand with drivers safety and design as the most important characteristics. Giugiaro Design is responsible for the design of the tread and the sidewall of the Ultra High Performance tyres of Vredestein. But of course the engineers of Vredestein have the final say, as a tyre is a product that is essentially for safety, therefore safety and design have to go hand in hand for the Vredestein Tyres. The tyre tests that were done internationally have proved that the tyres not only is stylish but also demonstrats outstanding performance, on top of that, it has won awards time after time. There are many different types of tyres that Tyre Queen carry. Customers can choose from a wide range and variety of high quality tyres to enhance the performance and aesthetics of your car. Untrac Vorty R is the sportiest Ultra High Performance summer tyre of Vredestein to date. As Untrac Vorti were put side by side to compare, Ultrac Vorti R focus a lot on making sure that the grip and the driving precision is for the most powerful cars. This tyre maintains its traction at temperatures that are higher, including at the bends, and is extremely stable at high speeds. Therefore it is the perfact match for 4-wheel and rear-wheel drive sports cars that require the most from their tyres. Vredestein developed the Ultrac Vorti R in close collaboration with the Italian design company Giugiaro, and the sidewalls with carbon accents and the tread are a design feature unique to this tyre. Its size availability had been particularly optimized for the rear axle. 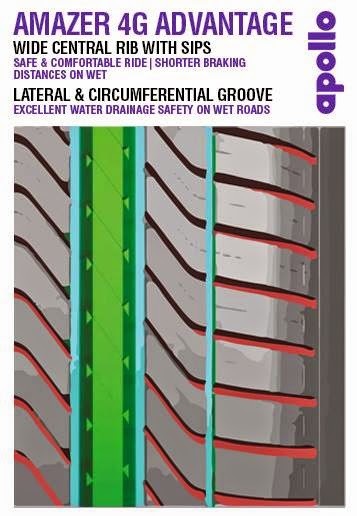 The Ultrac Vorti R tyre has increased in the performance grip on dry surfaces as the front tyres are discharging most of the water on the wet roads. Untrac Vorti is an Ultra High performance tyre that is in the outright top segment of the market. Developed in close cooperation with Giugiaro, the Italian desgin company, the tyre has a slimline design and irregular profile to give the tyre a superd sporty and unique appreance. Ultrac Vorti has great performance in the handling, comfort, grip and also the braking conduct on both wet and dry weather conditions. Ultrac Vorti is extremely and surprisingly quite by using the innovative technologies. The tyre is availble in rear axle sizes with specially-tailored structure and a suitable profile, specially for sports cars that have different sizes on the front and rear axle. As the front tyre helps to discharge most of the water on the wet road, the focus would therefore be on the rear tyres for better grip and stability. Ultrac Sessanta is on of the best in the Ultra High Performance segment of the Vredestein tyres. The tyre has been optimised to give extremely good steering and handling feature, based on the strong points of the Ultrac series. The Giugiaro Design, with a pattern that certainly shows that the performance of the tyre is the priority, gave a revolutionary design to this tyre. Sessanta refers to the sixty years of Vredestein’s existence in Enschede, Holland. “Sixty” is written in Italian: Sessanta is to give praise to Vredestein’s unique collaboration with Giugiaro Design. Ultrac SUV Sessanta, tyre that is uncompromising for the Ultra High Performance segments. Ultrac SUV Sessanta is outfitted with an extra wide tread that is based on the strong point of Ultrac Sessanta. This guarantees better stability and more excellent road holding, which at the mean time maintains a high level of comfort for drivers. Ultrac SUV Sessanta has a characteristic of a double rayon carcass later and also a strong belt. These give the tyre a higher loading capacity, in order to make it ideal for the heavier SUV cars. The tread pattern and sidewall designed by Giugiaro Design gives the tyre a special and contemporary look. Ultimately comfortable and quiet is the Sportrac 5, which is developed in cooperation with Giugiaro. This tyre excels in the stabiliy and sporty driving ability, which interpret as excellent handling on both wet and dry weather conditions. The uniform surface pressure with low air ratio, combined with irregular grooves, guarantees the best grip and a shorter braing distance. The delicate grooves in the middle section of the tread with the best tread depth also create the tyre even more energy efficient. On top of that, the tyre also has a perfect even wear pattern. Thanks to the smart wide treat patterns and longitudinal grooves the Sportrac 5 is extremely quite and is the ideal tyre in this sector. The tyre for the permium segment is the Ultrac Cento. This tyre of Vredestein gives top priority to the safety aspects, combined with environmentally sound feature. A quiet and stylish lightweight summer tyre, the Ultrac Cento guarantees comfort with extremely good performance on both wet and dry weather conditions. Cento is a reference to the 100th anniversary of the existence of Vredestein brand. The sidewall and profile of the tyre have been developed once again by Italian design agency Giugiaro Design, giving Ultrac Cento a even greater appeal. I also managed to witness how their talented staff installing my new Vredestein Tyre onto my new Rims. It is amazing to watch how this entire process takes place. Watch this video! Voila! This is my new set of rims and tyres. It looks super compatible with my car. My Mercedes SLK convertivle finally looks like a car for a young adult. I am extremely happy as my car now looks like a black beauty with brand new shiny tyres and rims that sparkle. The aesthetics of my car has significantly improved to become more sleek-looking, elegant and beautiful. Special thanks to Tyre Queen for taking such great care of my car and giving it such a magnificent makeover. with new tyres and rims from TYRE QUEEN! BEFORE - Old stock rims - Look at all the scratches and dirt! I think every car owner should change their rims at least once in every 2 years, so that their car would look brand new and shiny. Due to the bad conditions and the scratches on the rims, it made my car look old. But now with my brand new shiny rims and tyres, my car looks brand new! What a change! Apollo Tyres was established in 1972 with a turnover of $2.34 billion as of as of FY 12-13. As Apollo was traditionally a truck tyre supplier, it established an R&D facility in the Netherlands, Apollo worked on the new tread patterns and rubber compounds to improve the performance and logevity of the tyre. Apollo Tyres Ltd is in the business of manufacture and sale of tyres since its inception in 1972. Over the years, the company has grown manifold, establishing its footprint across the globe. Proven on global test tracks. Apollo Tyres launched three new passenger vehicle tyres recently. These 4th generation (4G) tyres from Apollo’s stable - Aspire 4G, Alnac 4G and Amazer 4G - are the most advanced range of high technology passenger vehicle tyres across segments. The Apollo Range of 4G tyres has a minimalistic design to provide good handling in wet and dry weather conditions, also improved in the traction and provide a quieter drive to drivers. The centre rib is perfect for stiffness and higher accuracy of steering. This range of 4G tyres areable to respond accurately and correctly to any unexpected steering circumstances, which gives drivers safer drive on the road. The technology of mixing of raw materials ensures the braking distance and traction is enhanced on wet and dry roads. These tyres are with excellent results after being tested extensively at IDIADA, Spain and ATP Papenburg, Germany. 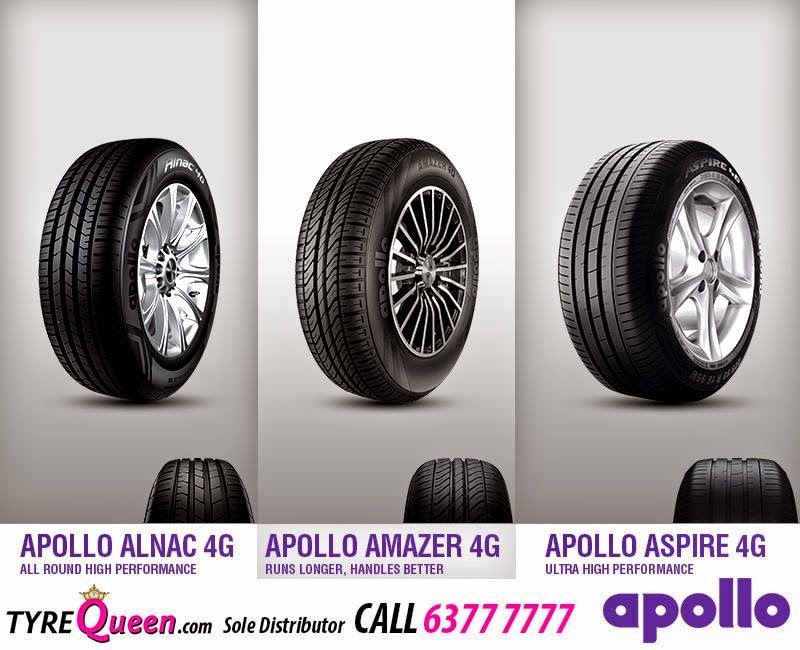 The Aspire 4G is an extremely high-performance and 4th generation tyre that is with W and Y speed ratings from Apollo. These tyres are available in 16 and 17-inch sizes, as Aspire 4G targets the growing premium and luxury cars category lik Mercedes C and E Class, BMW 5 Series, Audi A4, Honda Accord and Volkwagen Passat. Aspire 4G goal is to provide drivers a racetrack performance when they hit the road. It claimed to be safe even when drivers run at 250km/h wihout the risk of their tyres being burst. The unique selling point of Aspire is its perfect handling in wet and dry conditions, accuracy of steering and the ability to corner at very high speeds. Alnac 4G, a new high performance tyre designed especially for executive and mid-sized car available in V and H speed ratings. These tyres are available in 15 and 17-inch sizes which are suited for cars like Hyundai Verna, Hyundai Elantra, Toyota Corolla and Skoda Superb, Chevrolet Cruze and Renault Fluence. This tyre provides drivers with quieter, smoother ride and a longer lifespan compared to the other competitors. Amazer 4G is with a speed rating of T for standard performance which means that it is save for drivers to drive up to 190km/h safely. The Amazer 4G is available in sizes between 12 and 14 inches. Amazer 4G targers car in the mini compact and premium compact category, like Maruti Alto, Hyundai Santro, Hyundai Accent, Tata Indica, Volkswagen Polo, Volkswagen Vento and Swift Dzire. Car Tyres, love them or hate them, your car can't run without them and when your car tyres go bald or some say "botak", there is little choice but to change to a new set of tyres which can cost between a few hundred to a few thousand dollars. This is because when tyres fail on the road, it could lead to severe loss of control of your car. Since changing tyres is an unavoidable necessity, it makes good dollar sense for smart car owners who wish to get more value for your money while still driving safely on the roads. Tyre maintenance is so important but yet so often overlooked. As the only point of contact between the road and your vehicle, tyres largely determine how safe and stable your car is out on the road. Just think that the total surface area of your tyres in contact with the road at any time is not that much larger than the surface of your hand - reason enough to make sure your tyres are in the best condition they can be!. There are many aspects to consider before terming tyres as safe. The tyres should be well maintained by avoiding misuse or overuse. The conditions of the tyres should also be frequently inspected and corrected if possible before and after driving the vehicle, and also in cases when there is an impact on the tyres, for example, the road curb. Before hitting the road, checking the condition of the vehicle is one of the responsibilities of the driver. One of the most important checkpoints that should be considered is the condition of your current car tyres. There are many dangers associated with either the use of the wrong type of tyre or driving with defective ones. However, tyres are usually neglected by car owners and cars running on non-road worthy tyres are known to be one of the main causes of accidents on the road. Most car owners are wise to the fact that they need to keep their vehicle in good running condition. This means getting regular oil changes, making any needed repairs, and running it through the car wash from time to time. Unfortunately, one of the most common part of the car many people neglect to think about are their tyres, the only contact point between the car and the road! A point to note is that worn out tyres are much easily punctured and very dangerous to drive on! Many of us might have heard stories of people who tried to save money by not replacing their car tyres when their tyres are already no longer road worthy. They regret it only when they get into car accidents on the road because of the faulty tyres. Some major accidents are caused by faulty tyres which are no longer road worthy such as bald tyres or seriously damaged tyres. Hence, it is important to always keep in mind that the 4 car tyres on your car are some of the most important features to ensure safe travel to wherever you are going. If you are new to the online tyre buying process, the idea of trying to determine what tyre size you require for your car out of the hundreds of choices, can be quite daunting. Although it may look quite puzzling at first, it will all become very easy to you once you go through this guide which explains what the codes and numbers mean. The most direct way to find out your current tyre size is to look at the car tyres which are already fitted on your car. The information you need is displayed on the sidewalls (side of the tyre). In this example, we are going to use the tyre on an Audi Q5 as an example. Upon walking closer to the tyre, we find the information we need and it looks like a mixture of number and alphabets which at first glance, seems complex. With the charts provided in this guide, it will be very easy for you to decode them. On the next photo is an example of where to find the information you need and how it looks like in real life. Let us find out first what the 235/60R18 means. For most car owners, this is basically most of the information they need to know to choose what tyres to replace. Simple and easy. Let's see how to use this information to choose your new tyres online. Tyres are required to have a Load Rating. This measurement is important as a gauge to the vehicle's performance when it is loaded. It indicates the maximum load carrying ability that your tyre is able to support. Below is a table for easy reference. In this example, the load rating is 103 and from the table, we can see that it indicates a maximum weight of up to 875kg. Take a look at yours and match it to the table. The manufacturer determines the load rating based on the weight the tyres are required to support. The correct load rating for your vehicle can be usually be found in the vehicle handbook. If you car is brand new, take a look at the current tyres and see the ratings, if in doubt, you should contact the vehicle manufacturer or dealership to confirm. It is generally acceptable to use tyres with a higher load rating. However, running on tyres with a lower load rating than your vehicle requires (stated in handbook) can be dangerous as it could increase the chance of tyre failure and render your insurance invalid. Choosing a Load Rating which is higher than required is generally considered acceptable, but choosing one which is lower than your vehicle needs is not. Tyres are required to have a Speed Rating as this measurement is important as a gauge to the vehicle's performance when driving at high speeds. Speed ratings indicates the maximum speed that your tyre can handle and could determine the difference in a vehicle’s comfort, wear, cornering ability and braking distance. Below is a table for easy reference. In this example, the speed rating is W and from the table, we can see that it indicates a maximum speed of up to 270 km/hour. Take a look at yours and match it to the table. The manufacturer determines the speed rating based on the weight and power of the vehicle. The correct speed rating for your vehicle can be usually be found in the vehicle handbook. If you car is brand new, take a look at the current tyres and see the ratings, if in doubt, you should contact the vehicle manufacturer or dealership to confirm. It is generally acceptable to use tyres with a higher speed rating. However, running on tyres with a lower speed rating than your vehicle requires (stated in handbook) can be dangerous as it could increase the chance of tyre failure and render your insurance invalid. If drivers choose a lower speed rated tyre than what their cars should be equipped with, some of the risks faced are that stopping distance increases in critical situations, less smooth and controlled cornering and overall changes in the performance of the car. When choosing new tyres, many drivers tend to just look up the size of the tyre their car requires. The driver might not realize that each brand, make and model of car would be best fitted to tyres that correspond with the appropriate speed rate. Tyres of the same size with lower speed ratings are usually cheaper than the right performance tyre. Lower performance tyres usually also have higher treadwear. The choice is usually, a cheaper and longing last tyre compared to getting the right speed rated tyres for their cars. Not using the correct rated tyres may cause the rubber to be heated unevenly, compromising traction and having a higher tyreblowout risk when tackling higher speeds. What Is The Correct Air Pressure For My Car Tyres? The correct air pressure for your car tyres should be stated in your vehicle's handbook and are usually also found at the side of your car doors. If you cannot find the specification or in doubt, please contact TyreQueen for assistance. 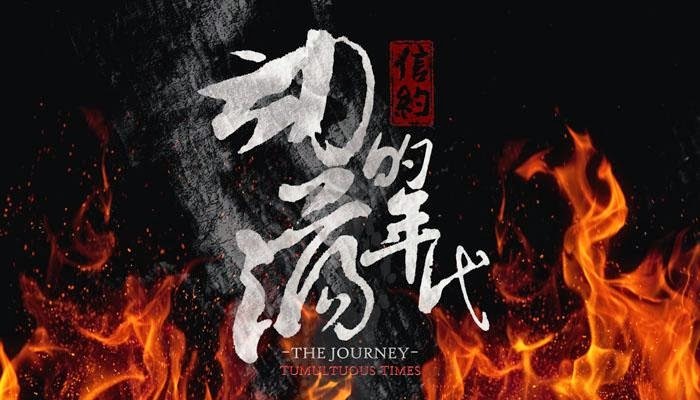 Featuring popular casts sucha s Lee Nanxing, Jeanette Aw, Desmond Tan, Romeo Tan, Felicia Chin, Shaun Chen, Andie Chen, Chris Tong, Joanne Peh, Allen Chen, Chen Hanwei. New point system up in exchange for all sorts of freebies! Customers can then exchange their TQ points with a wide range of freebies selection. Freebies include a series of Car accessories and on top of that there are also OSIM and GNC products.